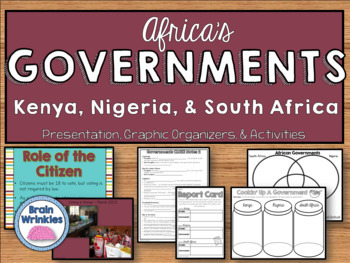 This file is a resource pack Compare and contrast different forms of citizen participation in government, specifically in Kenya, Nigeria, and South Africa (as outlined by the Georgia Standards of Excellence-- SS7CG1). 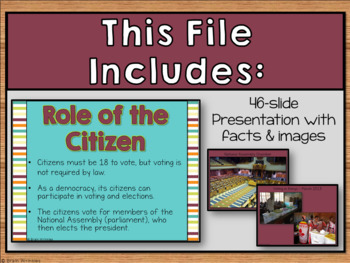 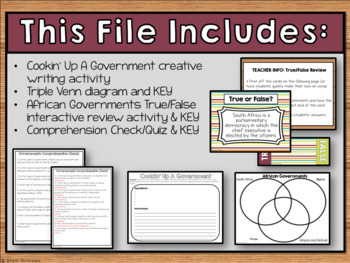 There is a presentation that includes important facts and images; as well as many useful graphic organizers and creative activities included in this file! 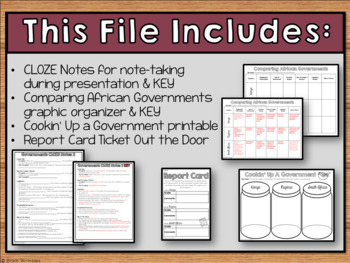 You can choose to do them all, or pick the ones that best meet your students’ needs.